After the devastation wreaked by Hurricane Matthew this autumn, the risk of the disease spreading across Haiti in contaminated waters was high. 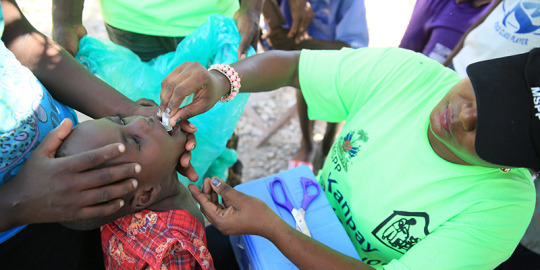 At the beginning of November, global health partners worked with the Haitian Ministry of Health to begin a vaccination campaign using one million doses of cholera vaccine. The shots were drawn from the internationally supported cholera vaccine stockpile, vaccine deployment was funded by Gavi, and work on the ground conducted with help from the Pan American Health Organisation (PAHO), UNICEF, and the International Medical Corps. Here, we draw together photographs from those running the vaccine campaign in Haiti to explore how the realities of preventing cholera on the ground. 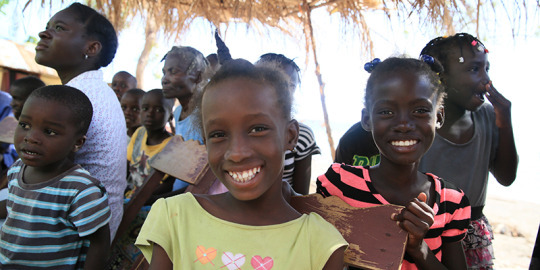 In the second week of November, the cholera vaccination campaign began in areas most affected by Hurricane Matthew. 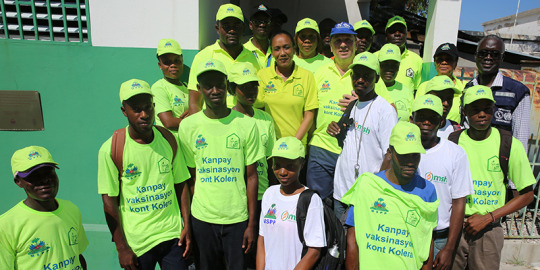 A large contingent of national supervisors, nurses, health workers and criesurs, or town criers, were mobilised by Dr. Daphnée Benoit Delsoin (in yellow above) from Haiti’s Ministry of Health and Population, to vaccinate some 800,000 people. 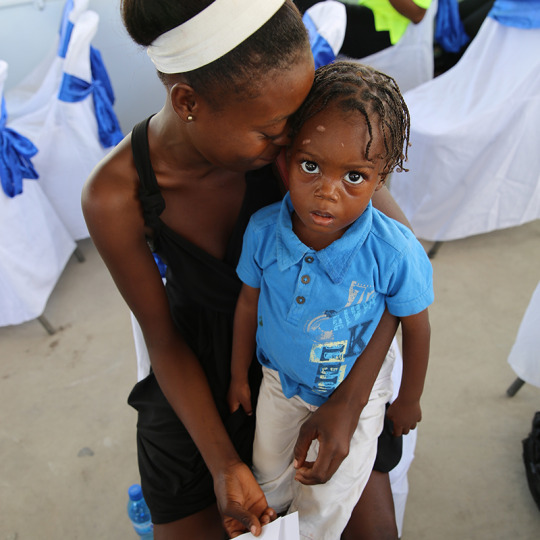 The strategy defined by the Ministry of Health, with support from PAHO/WHO, is to vaccinate people at fixed immunisation centres, mobile centres and in some cases by going door to door. Patricia was one of the first people to receive the cholera vaccine with her two year old son Hans Billy at the launch of the vaccination campaign. 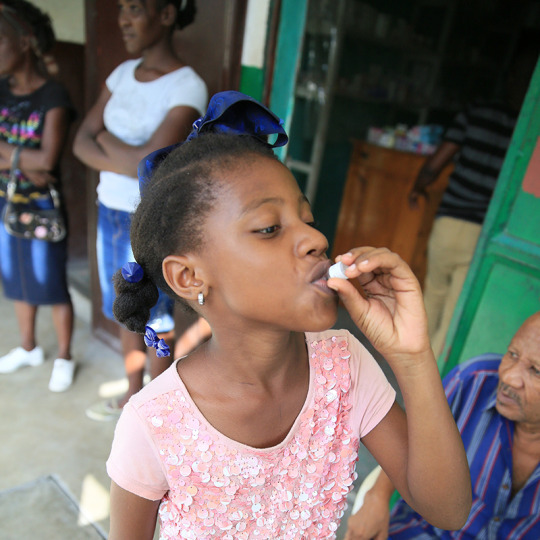 At a different site, in the city of Les Cayes, ten year old Amalia Jean Simon, was one of the first in line at the cholera vaccination post. The vaccine is oral – taken by mouth – so as Amelia shows it’s even possible to administer it yourself. With many people at risk, it’s important to set up vaccination posts in a diverse range of settings. At midday in Figuers, a rural area in the Sud Department of Haiti, people queue to get vaccinated by the shore. In less than three hours, nurse Orcel Naika’s brigade vaccinated more than 250 adults and children against cholera at this particular spot. Of course, vaccination is only one part of the strategy to save lives from cholera. 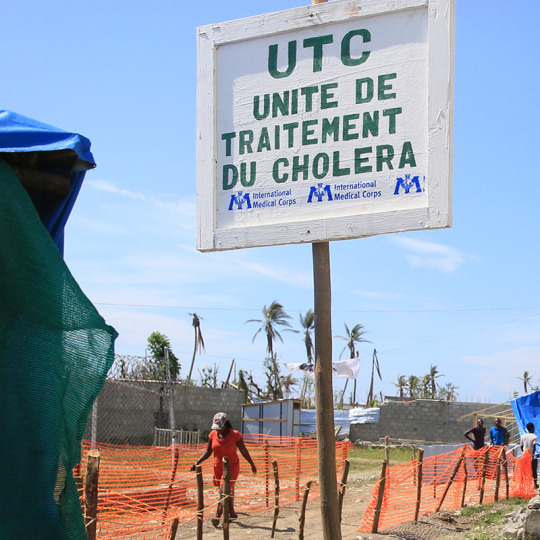 Treatment is vital for those who do become infected and, in the long-term, hygiene, sanitation infrastructure and access to clean water are essential and sustainable ways to prevent cholera and other water-borne diseases. However, as the conversations around World Toilet Day recently highlighted, 2.4 billion people around the world still lack access to these basic structures. Find out more about the cholera vaccine stockpile here.